Constructed of structural tubular steel and heavy gauge anti-skid diamond plate decking. 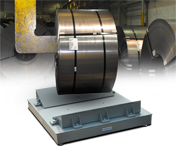 These scales are designed to handle the toughest applications. Incorporating all of the accuracy, reliability and strength you have come to expect from Cambridge Scale Works and backed by our one year warranty. The Cambridge Scale Works, Inc. Model 660 “Classic” Series bases feature Heavy Structural Tubular Steel Construction, Heavy Diamond Tread Deck Plate, Stainless Steel Captive Ball Leveling Feet, Top Access NEMA 4x Junction Box and a Unique Load Cell alignment for increased accuracy with decreased cell damage from side loading. 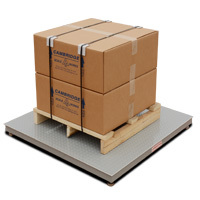 The Cambridge Scale Works, Inc. Model 660-PW Series fits all standard “pallet jack trucks” and most “power walkies”. 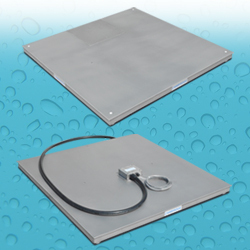 These scales feature side access junction board and a Unique Load Cell alignment for increased accuracy. 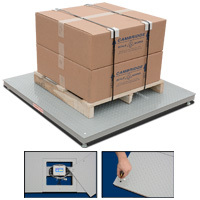 The Cambridge Scale Works, Inc. Model SS660 Series bases feature Type 304 stainless steel construction, stainless steel load cells, stainless steel leveling feet, remote stainless steel NEMA 4x junction box. 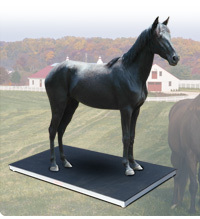 The Cambridge Scale Works, Inc. Model SS660-PT Series bases feature Type 304 stainless steel construction, stainless steel load cells, stainless steel leveling feet, remote stainless steel NEMA 4x junction box with a unique USDA/FDA approved polyethylene removable butcher block style top for washdown applications. 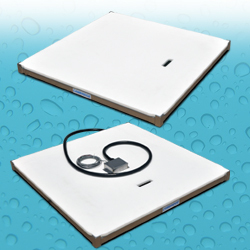 The Cambridge Scale Works, Inc. Model SS660-ST Series bases feature Type 304 stainless steel construction, stainless steel load cells, stainless steel leveling feet, remote stainless steel NEMA 4x junction box with a unique slide off stainless steel top for washdown applications. The Cambridge Scale Works, Inc. Model AL660 Series bases feature tubular aluminum construction for maximum strenght in a light weight material. Perfect for rental applications. The Cambridge Scale Works, Inc. Model AL660 “Classic” Series bases feature tubular aluminum construction for maximum strenght in a light weight material. This scale also features top access NEMA 4x junction box and stainless steel captive ball leveling. 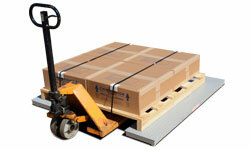 Perfect for rental applications or outdoor use without the expense of stainless steel.